Collected by Rosa Espineira Pan. 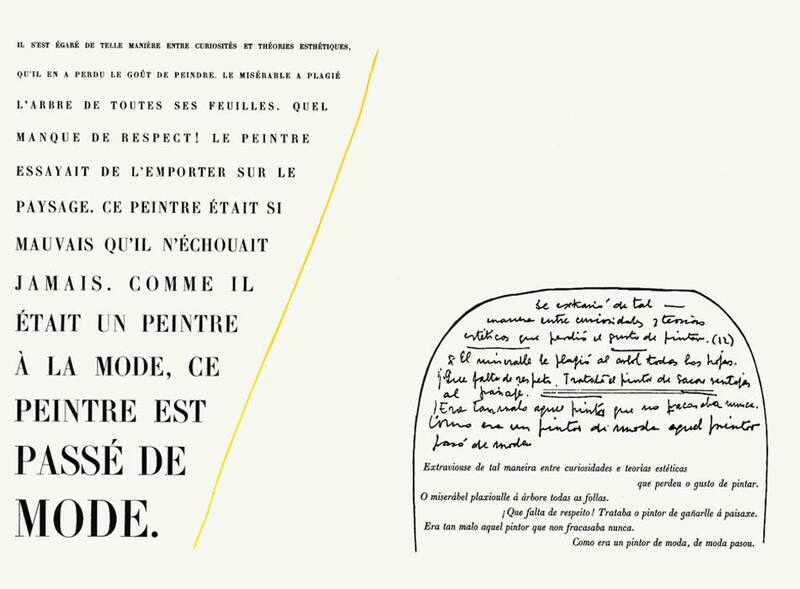 The texts were composed by hand in Gauthier and Marcellin-Legrand type and printed in the studio of the Livre de l´Imprimrie nationale de Paris. 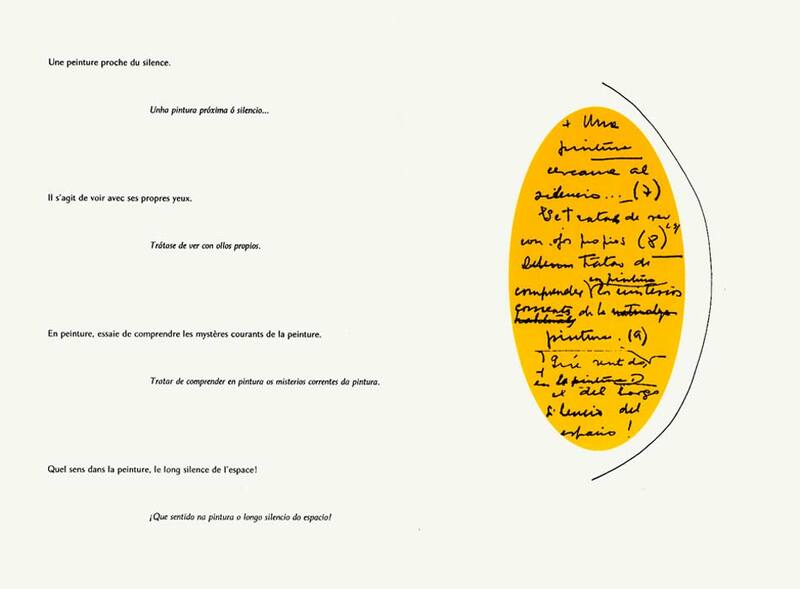 Matilde Marín’s silk screens were printed on Rives paper by Eric Seydoux in Paris. 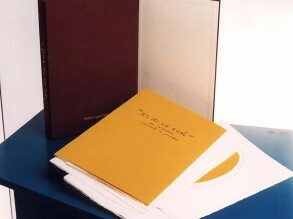 64 copies numbered from 1/64 to 64/64. 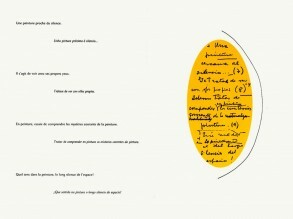 25 artist’s copies and 10 numbered from I to X, reserved for the National Library of France. 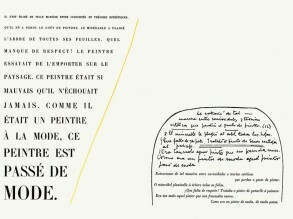 A suite of silk screens, 125 copies, numbered from 1/125 to 125/125 were printed and signed by the artist. 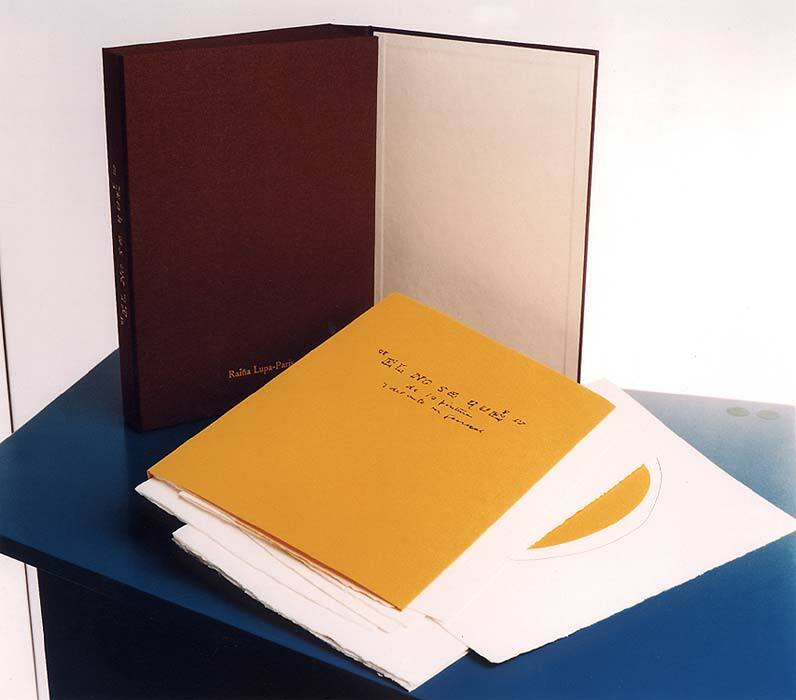 The process of printing the book was finished on March 30, 2001.